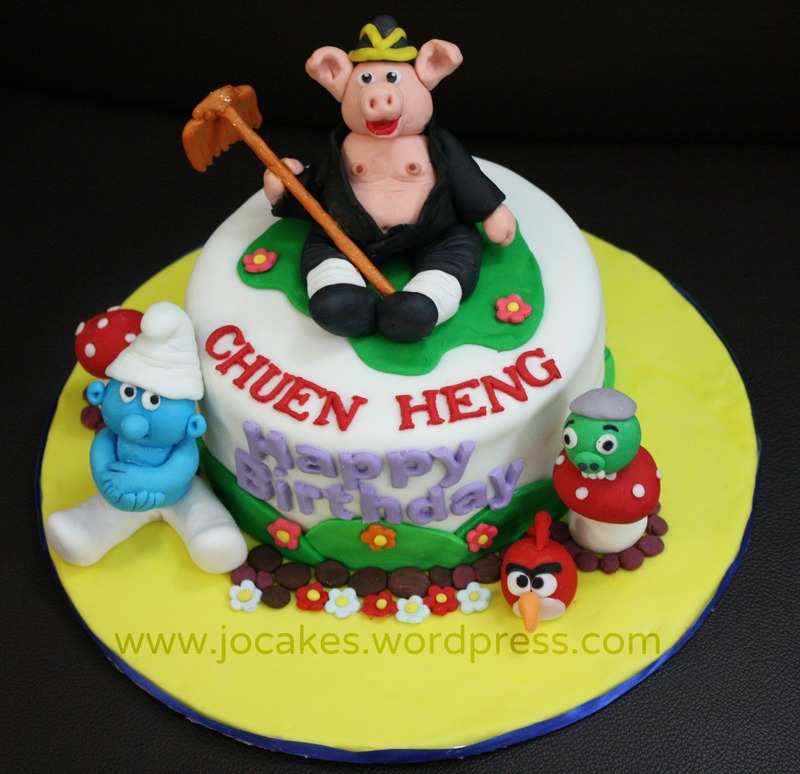 Pig monk and little Smurf birthday cake. 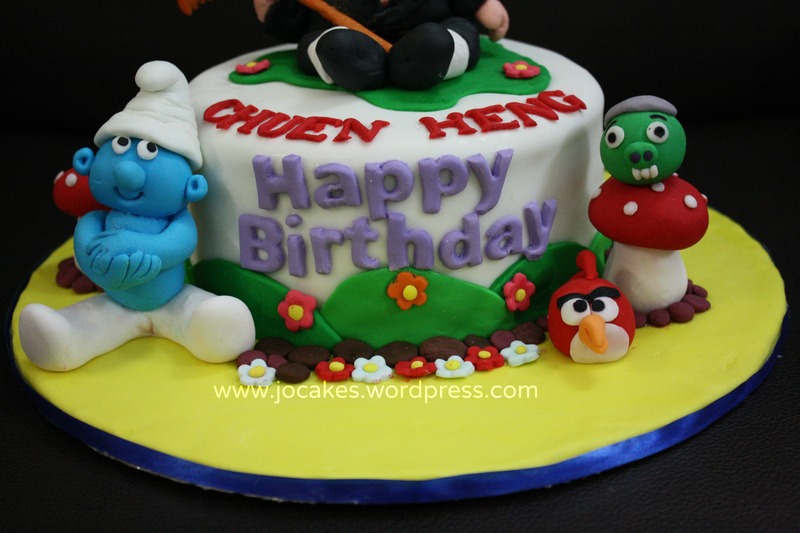 Posted by Josephine Stanley in Angry Bird cakes / cupcakes., Birthday Cakes, Children celebration Cakes, Piggy Cake, Smurf Cake / Cupcakes. 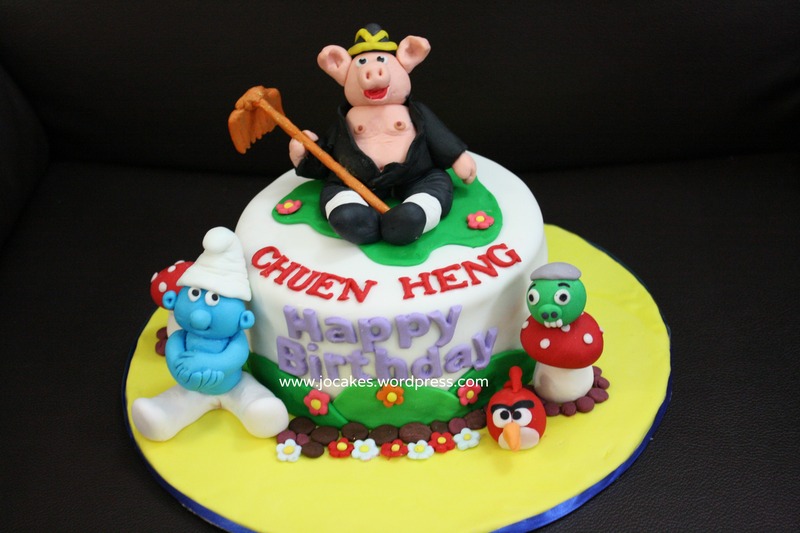 It’s 2nd birthday for little Chuen Heng who likes pig monk and smurf alot and his mom wants me to make something cute to cheer him up. Zhu Bajie, also named Zhu Wuneng, is one of the three helpers of Xuanzang in the classic Chinese novel Journey to the West. 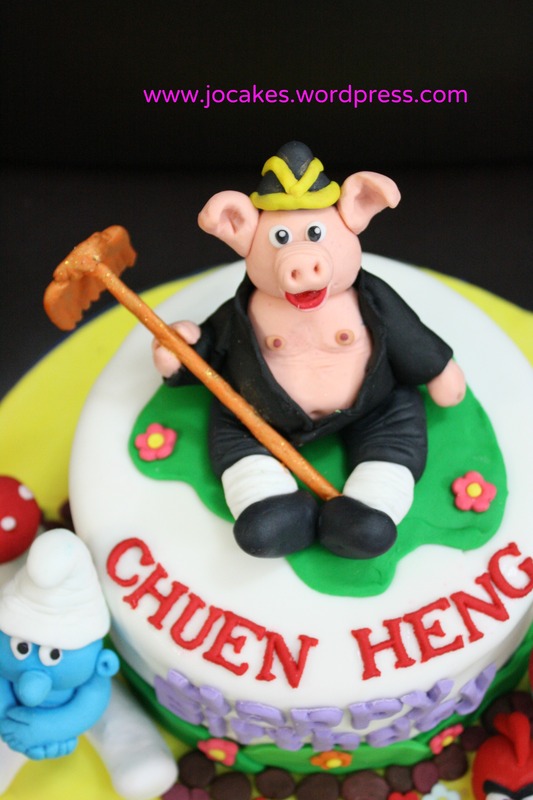 He is called “Pigsy” or “Pig” in many English versions of the story. Zhu Bajie is a complex and developed character in the novel. He looks like a terrible monster, part human and part pig, who often gets himself and his companions into trouble through his laziness, gluttony, and propensity for lusting after pretty women. He is jealous of Sun Wukong and always tries to bring him down. As a weapon, he wields a jiǔchǐ-dīngpá, a nine-tooth iron muck-rake from Heaven that weighs roughly 5,048 kilos (or roughly 11,129 pounds).